The Moto X was sold in three different versions worldwide and it seems that Lenovo will adopt the same strategy with the new Moto Z line up. The Moto Z Force and Moto Z were recently launched. They have gained an instant response for offering the best adaptation of modular technology up until now. The ability to add or increase the functionality of the phone quite easily using modules has been the goal of several smartphone manufacturers in recent years. The Moto Z achieved with this aspect with ease. Motorola did not seem to be happy with just two versions of the Moto Z, as rumors have been persistent about a third model called the Moto Z Play. Given the speed at which new rumors and leaks have been coming up, it may not be long before the Moto Z Play becomes official. It has just been spotted on Chinese certification equivalents of the FCC. Even though leaks of the phone have already come through, these low quality images do not give out an exact picture. It is almost certain that the Moto Z Play will be a great looker like the Moto Z Force and the Moto Z. Early specifications of the device indicate that it will come with a 5.5-inch display sporting the same 1080p resolution as the previous generation model. This would be a major letdown considering that the Moto Z and the Moto Z Force both offer QHD resolutions on their screens of similar sizes. The recent crop of Moto phones has started developing a great fan following due to their excellent cameras. 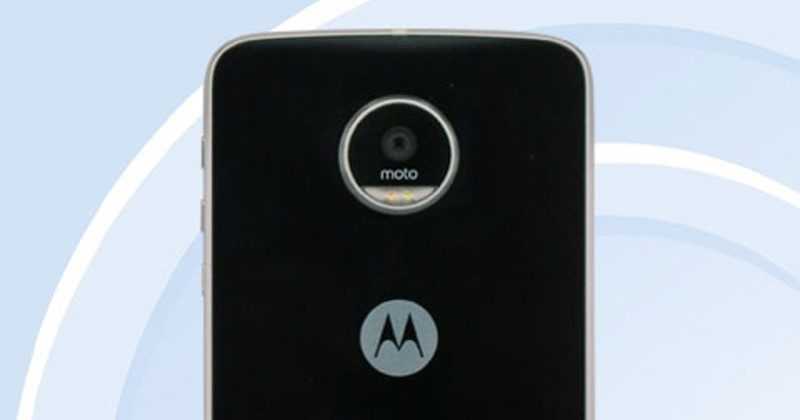 The use of a 16-megapixel shooter in the rear of the Moto Z Play is expected to continue the tradition, while the front facing camera will have an equally capable five-megapixel shooter. 4K video recording, however, is only available via the rear camera. These specifications hint at a very powerful device and it increases the need for any equally powerful battery. The use of a 3510 mAh battery in the device means that it may be good enough for an entire day without a recharge. A snapdragon 625 processor is thought to be behind the Moto Z Play. The phone will have a top of the spec model with 3 GB of RAM and 64 GB of storage, while base versions will have only 2 GB of RAM and 16 GB of storage.